JAVA 9 is one of our Programmes under the category of ‘s’ in iSMAC (IT-IMS, Social, Mobility, Analytics, and Cloud). Considering the need of the industry, TECHRADIX is offering a Job-oriented programme in JAVA 9 that comprises of three levels. Core Java, this program helps in laying a solid foundation on the most important concept in the field of information technologies today. At the intermediate level, this program further strengthens the candidate’s knowledge and skills in terms of the advanced concepts of Java. At the advanced level, this program imparts knowledge and skills in terms of web application development. Java 9 enables developers to create applications—faster and easier—for business environments and the Internet of Things (IoT). Java 9 facilitates improved developer productivity through reduced code. i. Core Java – Learn fundamentals of Java Programming Language features, Java Object Orientation features, Processing Inputs and Outputs using Java, Developing Networking Applications in Java, Strings and java.io API and many other important aspects. ii. 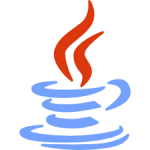 Advanced Java– Learn advanced features and aspects of Java Programming Platform like Threads and Multi-threading, Generics, Lambda expressions, Collections Framework and a whole bunch of Java Utilities such as Logging, Regular Expressions etc. iii. Web Java– Learn to develop web and Internet oriented applications using the web java platform and also learn important features such as Servlets, Java Server Pages (JSP), JSP Standard Tag Library (JSTL) and related technologies.